2017 Topps Archives Signature Series arrives Wednesday at Sports Cards Plus. 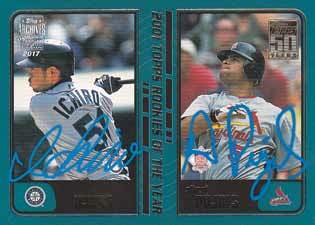 For the past couple of years, Topps Archives Signature Series has offered autographed buybacks of retired players. 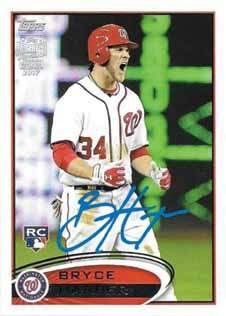 However, the checklist consists of active players in the 2017 edition of Topps Archives Signature Series. Each box of 2017 Topps Archives Signature Series Baseball has just one card — a signed buyback. For those unfamiliar with buybacks, they’re essentially original cards that have been re-purposed. It’s kind of like sports card up-scaling. Cards are signed on-card. They also have a foil stamp added noting that they come from this product. They also come in a holder to protect them. Individual cards are serial numbered. In past Topps Archives Signatures Series Baseball products, these numbers have generally been quite low but most players also signed several different cards. 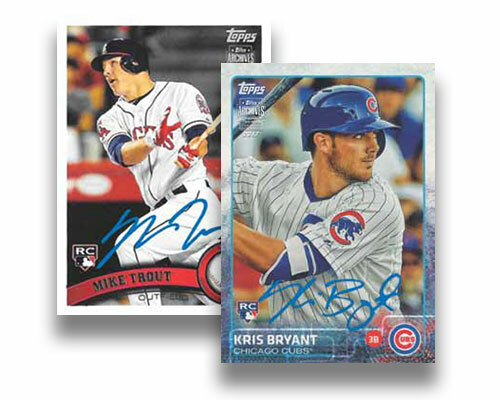 According to the card maker, cards from both Topps- and Bowman-branded products can be found. 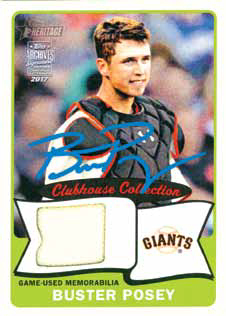 Besides regular cards, freshly signed memorabilia cards and dual autographs are also randomly inserted.